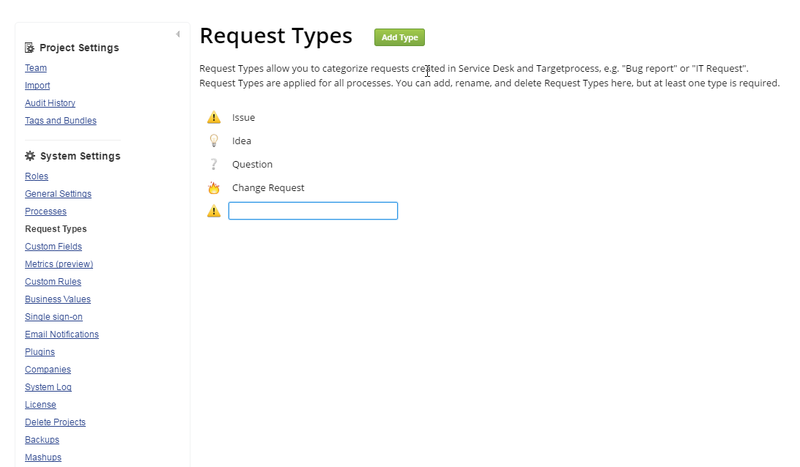 Custom Request types increase the number of scenarios that the Service Desk can be used for. For example, you could add "Project Request" if you're doing Portfolio Management, "IT request" for infrastructure guys, and much more. Alternatively, you can simplify Idea Management by removing all Request types except for "Idea". Requiring a comment for state transfers is now supported in Boards and Lists. If checked, users are requested to input a comment before moving an entity to the selected state.